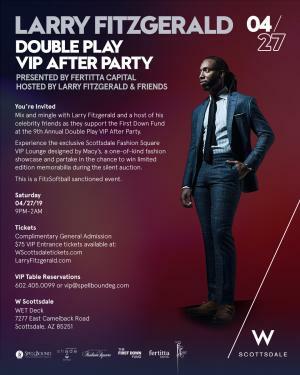 Mix and mingle with Larry Fitzgerald and a host of his athlete and celebrity friends as they support the First Down Fund at the 9th Annual Double Play VIP After-Party! 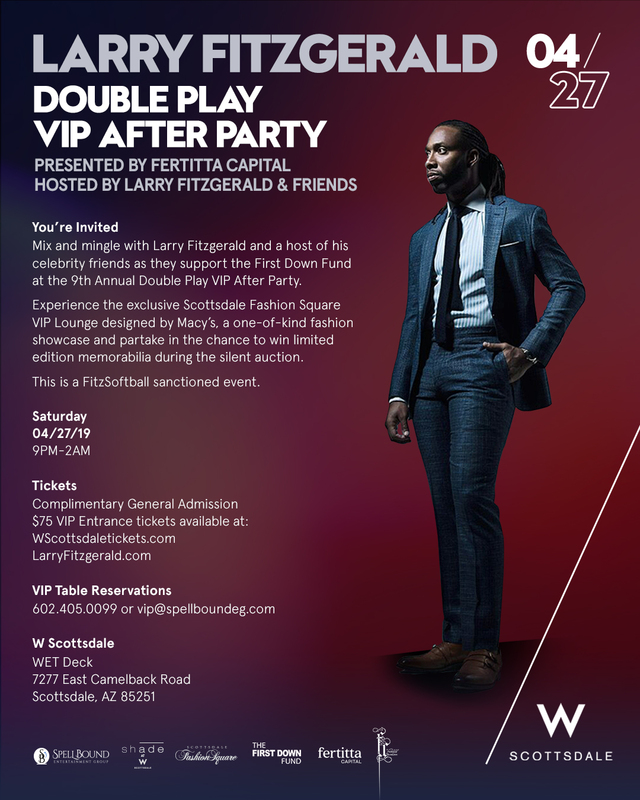 Enjoy a silent auction for a chance to receive one-of-a-kind memorabilia! © 2019 SLE TIX. All sales are final. Tickets are non-refundable.